A Dutch walnut and ebonized walnut coal bucket with brass liner. Great planter or wine cooler. The brass liner may not be water proof, so should have a secondary liner for water. Dutch Rococo style burled walnut cabinet. 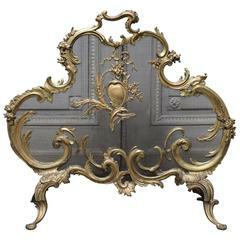 A 19th century French Louis XV style bronze fire screen. 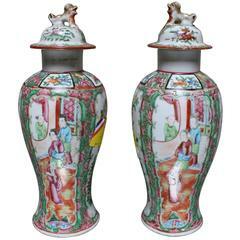 A pair of Chinese porcelain rose mandarin jars with lids, late 19th century. This is a 19th century Victorian antique copper and brass lion mask ring handled coal or log bucket, tripod lion paw feet. 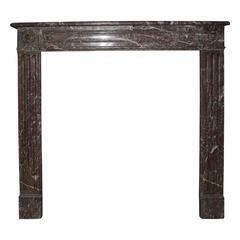 Lovely condition and quality, circa 1850. Victorian brass log bucket with lion mask handles, waved gadrooning and button decorated base. Sn4439 stylish Art Nouveau coal bin with embossed decoration and wrought iron legs, circa 1890. Measures: H 21", W 13", D 13" H 54cm, W 33cm, D 33cm. Birmingham Guild of Handicraft Ltd.
Hand-Forged copper bucket 11.5"D x 8"H.